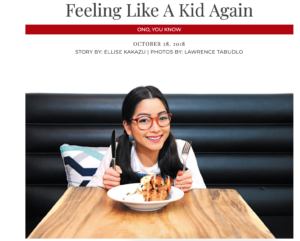 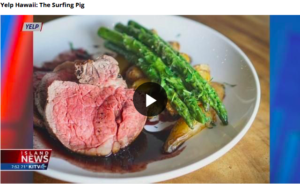 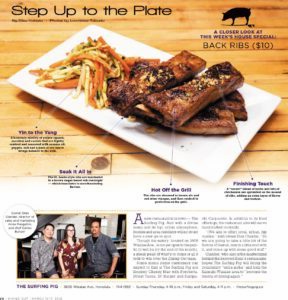 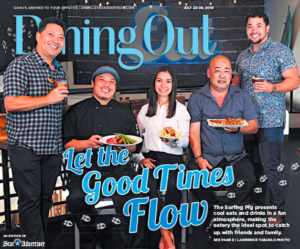 As a key culinary player in the Kaimuki community, The Surfing Pig often comes up with creative plays on how to serve up classic dishes with a twist.“The Surfing Pig is always curating new dishes, menus and unique ways to experience dining in the restaurant,” says Anna Piergallini, director of sales and marketing. 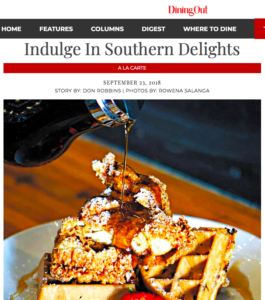 A few star dishes on Surfing Pig’s lineup are Chicken and Waffle Deluxe (available during brunch), Surfing Pig Truffle Fries, Stuffed French Toast and Smokey Cheesy Mac with Porchetta ($12). 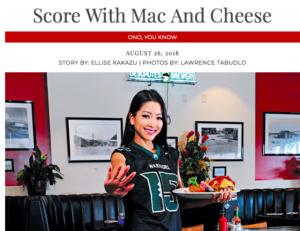 While everything on the menu is pure perfection, Surfing Pig’s Smokey Cheesy Mac with Porchetta, an elevated version of the classic duo, earns a standing ovation. 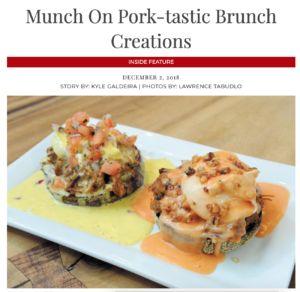 The rich, delicious “Small Plate” (Surfing Pig’s version of an appetizer) comes with ziti pasta coated in a luscious homemade Gouda cheese sauce that is topped with crispy porchetta. 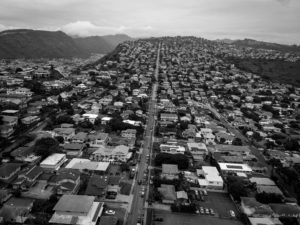 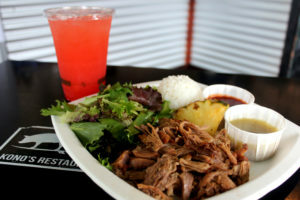 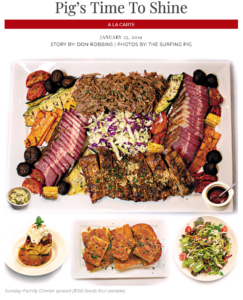 Two months ago, Stan Glander made East Oahuans very happy when he opened The Surfing Pig in Kaimuki. 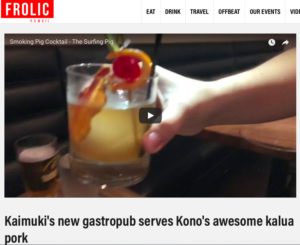 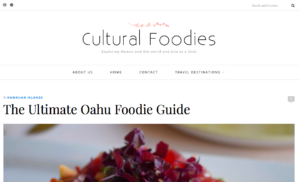 HONOLULU (KHON2) – It’s Foodie Friday and Take2 got a sneak peek at a new restaurant opening soon in Kaimuki. 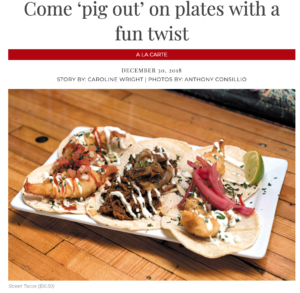 The Surfing Pig specializes in small plates and craft cocktails. 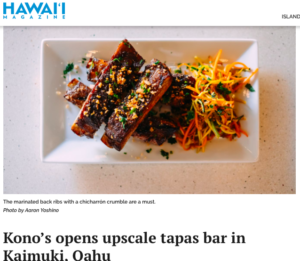 One of the signature dishes that’s featured on the menu is back ribs with chicharon and herbs. 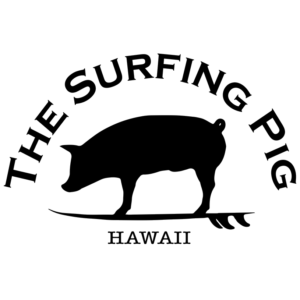 A new restaurant is in town — The Surfing Pig. 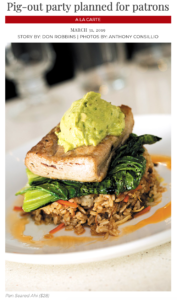 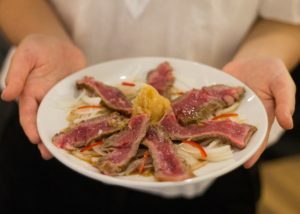 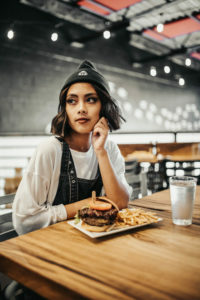 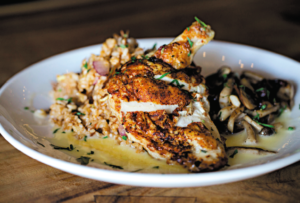 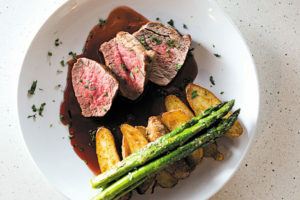 And with a divine menu and its hip, urban atmosphere, foodies and area residents will no doubt have a new go-to spot. 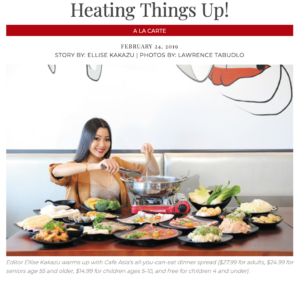 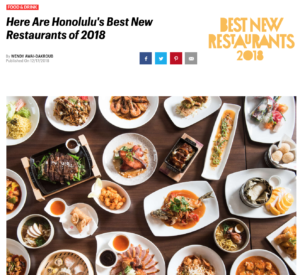 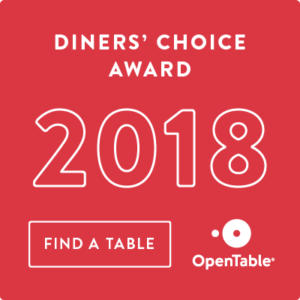 Though the eatery, located on 3605 Waialae Ave., is not yet open to the public (it will be by the end of the month), a sneak peak of what’s to come is all it took to win over the Dining Out team.